This winter I will be keeping my toes warm with this new and extremely comfortable slippers. The Posy Hoodback, featured here, is part of the ComfortIQ line that includes technology to store your body heat and release when needed and using cozy fabrics. 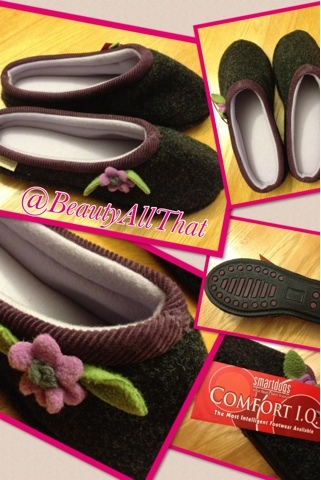 This makes it a great choice if you're looking for warm and soft slippers. Each step I take is also cushioned with its honey-comb patterned sole.